No matter how old a person is, it is important to put money toward savings and investments regularly, as the benefit of accumulated funds is one of the most important factors of wealth building. Even if only a small amount of money can be set aside at a time, regular contributions to savings and investment plans will grow over time. Additionally, many vehicles include the possibility of the benefit of compounded interest, which can translate into the growth of a saver’s contributions over time. 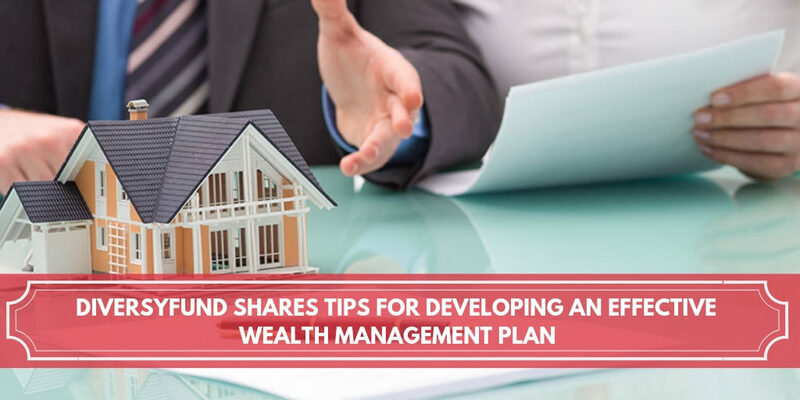 DiversyFund, a company that is changing up the perception of real estate investing, shares the following tips to help you build wealth like the 1%. While saving cash is great, especially if the cash contributions are intended for a short-term savings plan, it is crucial for people, when planning their investments, to consider diversifying investments to mitigate overall risk. Each financial portfolio should include safe, conservative options for the security of funds and more aggressive options for growth opportunity. Not all investments are right for everyone. It is essential for each person to consider his or her risk tolerance and long-term financial goals. There are many programs and benefits available that will reduce the amount of taxes that are paid on income. The best advice is to seek out the investments and savings plans that offer the greatest tax benefits. Over time, these plans can result in considerable savings and lead to even great savings growth. Whether a person begins saving and investing in their teenage years or as an adult nearing retirement age, part of the plan should be placed on a long-term perspective. It is vital that short-term savings are available in case of emergency, but by committing to long term goals with a diversified investment portfolio, you will cover not just your short term goals but also long term plans. It can be challenging for families to find extra money to contribute to a savings or investment account. Living a lifestyle within, or even below, one’s means may be required to achieve financial independence. It is crucial, however, that a specific plan is in place for an individual’s financial security. Research the many different options available. It is also prudent to consult a financial professional for guidance. By using the above tips, the average person can be confident that savings will grow over time and provide for his or her family needs. The most important advice, however, is to be disciplined and consistent. Only then can the greatest rewards be reaped.